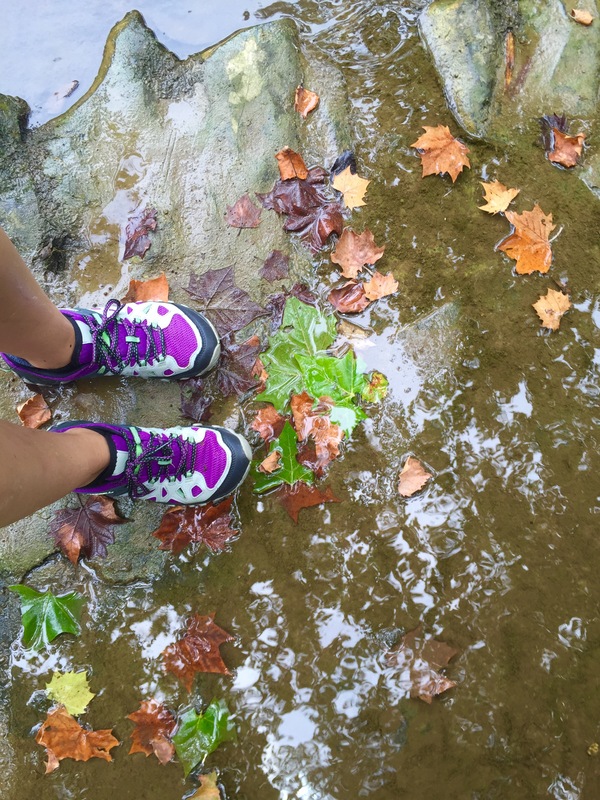 One of my goals is to visit all of the Missouri State Parks and Historic Sites. 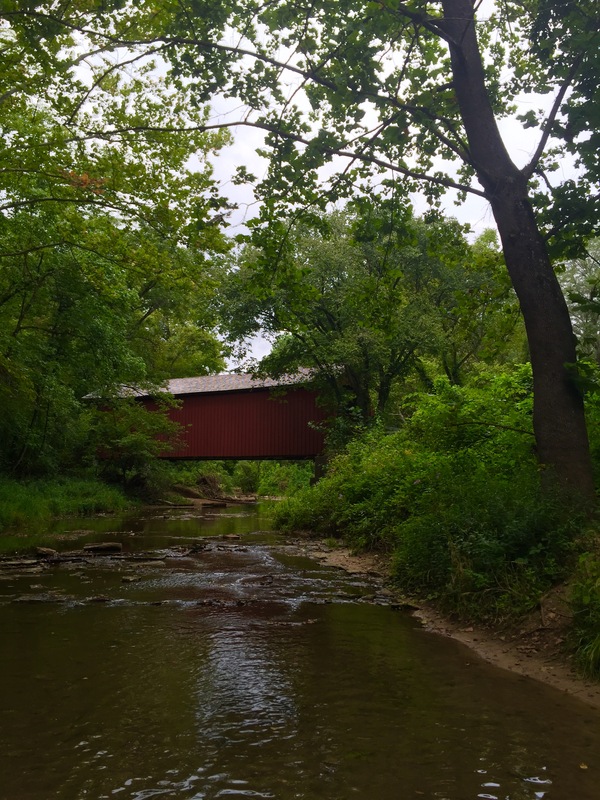 So while we were driving back home from our visit to the Castor River Shut-Ins and Millstream Gardens, we made a slight detour to visit the Sandy Creek Covered Bridge. This historic site is about 40 minutes southwest of St. Louis on Highway 21 near Hillsboro, Missouri. 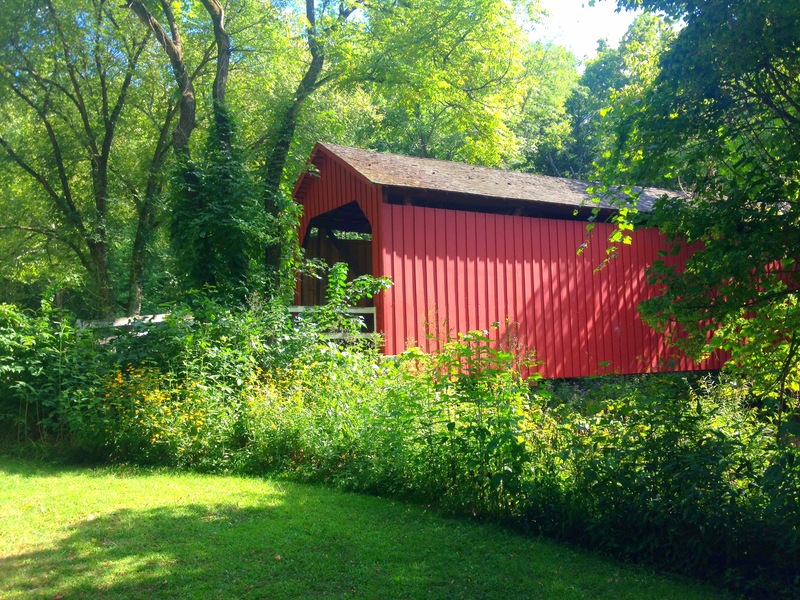 The bridge was built in 1872 and is one of four covered bridges still standing in the state. 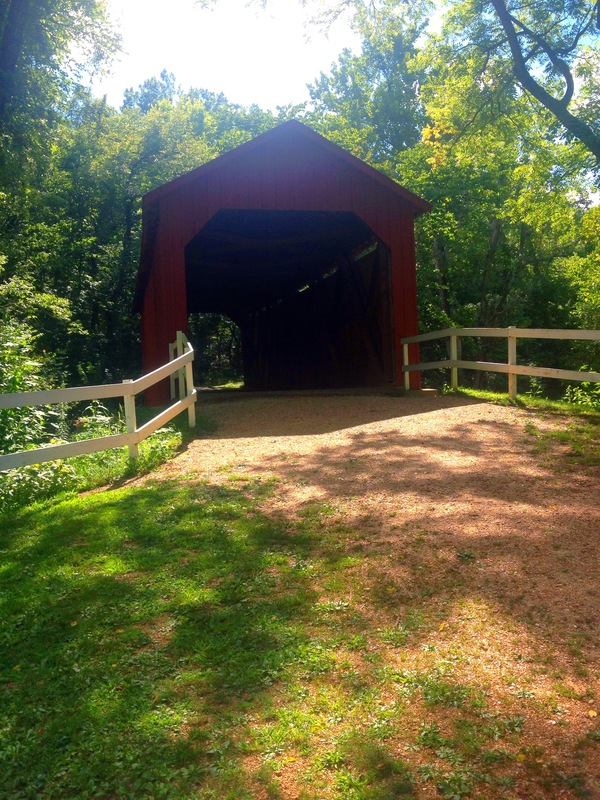 At one time, approximately thirty covered bridges crossed Missouri waterways and helped travelers to reach their destination. 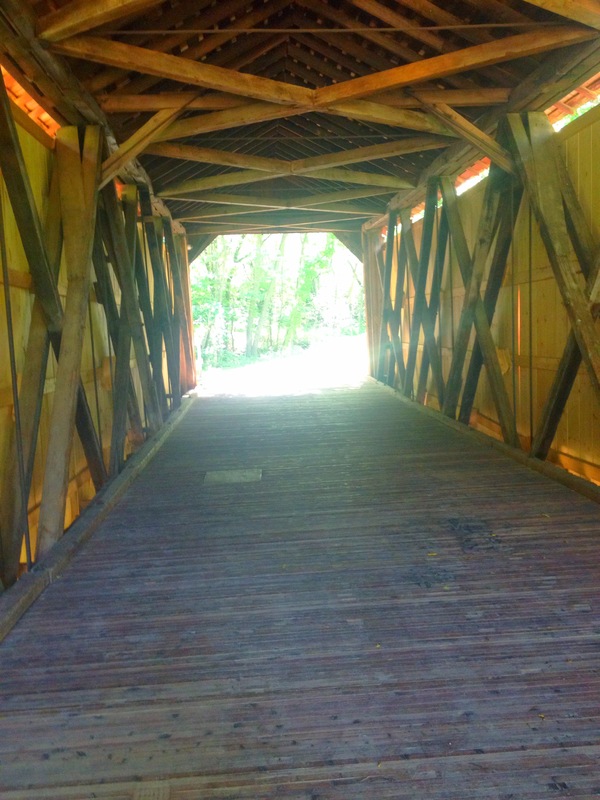 The bridge was constructed using the Howe-truss design. At the small historic site, there is an interesting display board with a bunch of neat information on the different types of covered bridges. We crossed through the bridge and down the bank to the creek. The creek was clear and cool and nice to walk through. 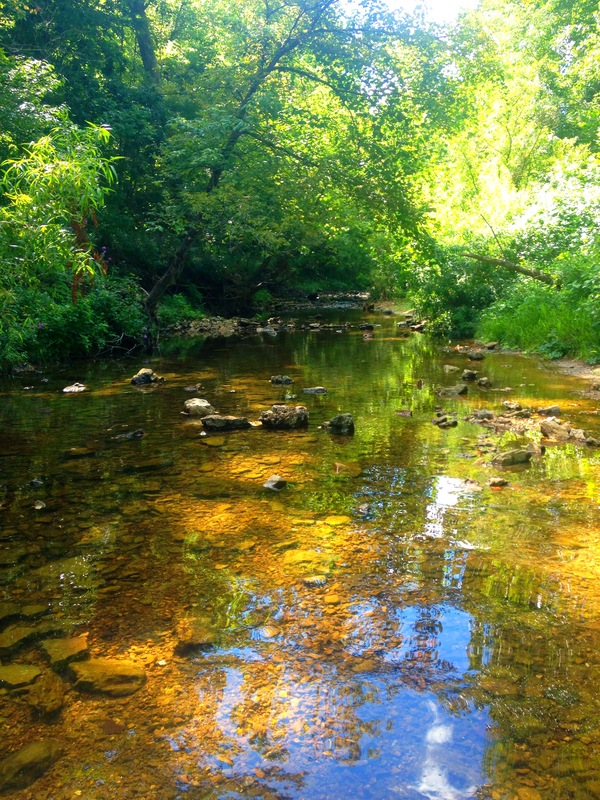 It was a great place to dip your toes in the water. 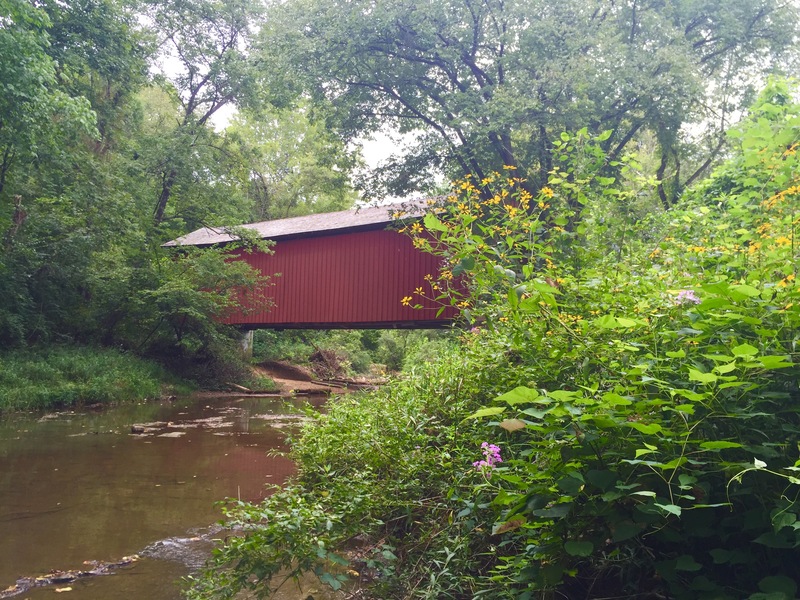 I visited Sandy Creek Covered Bridge again in the Summer of 2016. The creek was low so I spent a bit of time walking in the creek. There is also a shady picnic area at this historic site so stay a little while and enjoy the scenery.